Here’s 6 Answers to Kick-Start Your Wellness Journey. 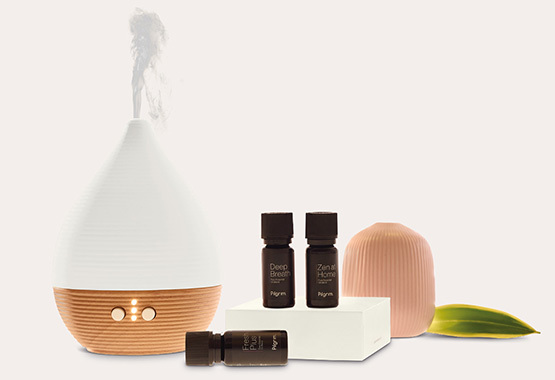 Pilgrim Collection is taking this natural ancient practice to a new level with thoughtfully designed diffusers + essential oils to help manage everyday urban wellness concerns – namely stress, anxiety and sleep patterns. 1. OK. MIRANDA KERR AND JESSICA ALBA ARE BIG FANS, BUT WHAT EXACTLY IS AROMATHERAPY? It's the natural practice of using essential oils as curative treatments for physical and psychological well-being. The easiest and most effective process for this? Diffusion – the dispersion of the oils into the air for inhalation and straight to the brain. Pilgrim Collection offers two types of aromatherapy diffusers, ultrasonic & nebulizers, to suit most preferences. 2. SURE - BUT WHY SHOULD I DIFFUSE? No risk, and all the reward. It's a versatile practice that brings a little nature to your concrete jungle. 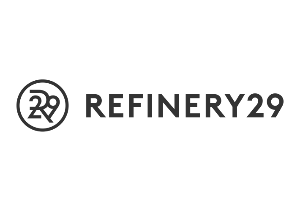 The great thing about starting aromatherapy now is that you're getting a step up on managing wellness issues associated with urban living – think stress, anxiety and irregular sleep patterns. Aromatherapy isn't only good for you, but also for Mother Earth! Essential oils are all derived from plants, flowers and fruits. Earth friendly oils need earth friendly diffusers. Pilgrim Collection diffusers are all made of noble materials including ceramic, glass and wood. 3. I HAVE A PRETTY BUSY DAY. IS THIS JUST ANOTHER THING I’LL HAVE TO REMEMBER TO DO? We get you! Our days get pretty hectic too – the nicest thing about using an aromatherapy diffuser is that it's the easiest & most effortless step you'll need to take for your well-being. Pilgrim Collection takes into consideration the busy lives we lead and designs their products with added functionalities such as a remote control, timers or auto-stop – so it's literally the push of a button away. 4. SOUNDS PRACTICAL, BUT WHO DO I TRUST? The most difficult step in the decision making process. With 4.5 stars on Amazon, a Top-Choice diffuser in Teo, and a successful Indiegogo campaign, Pilgrim Collection is a user-loved brand. 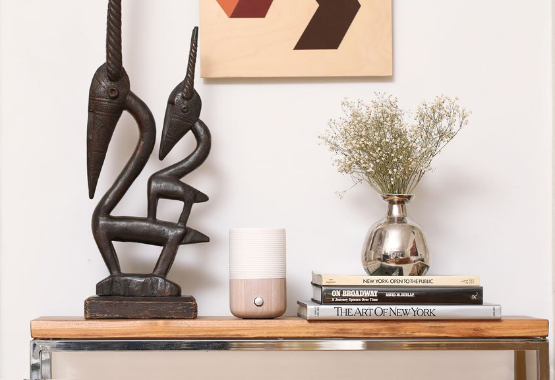 Their aromatherapy diffusers blend functional & beautiful, so your home can not only feel like an oasis through diffusion, but can also look like one. 5. SAY I’M INTERESTED - WHICH DIFFUSER IS BEST FOR ME? Pilgrim Collection offers two kinds of diffusers. Nebulizers don't use water which makes it a more potent type of diffusion. If that's too strong for you, look no further than an ultrasonic diffuser – like the best-selling Teo diffuser which requires water and offers both humidifying qualities for dry air and can extend the life of your essential oils. One of the best things about aromatherapy is that it can be an entirely personalized experience – from the essential oils you choose to the type of diffuser that works best with your lifestyle. 6. FANTASTIC! HOW DO I START? Super easy! Once you've chosen a diffuser based on your preferences, select an area of your wellness you'd like to focus on. What essential oils you use depend on what you’re looking to achieve. Alternatively, kick start your aromatherapy practice with Pilgrim Aromatherapy kit. 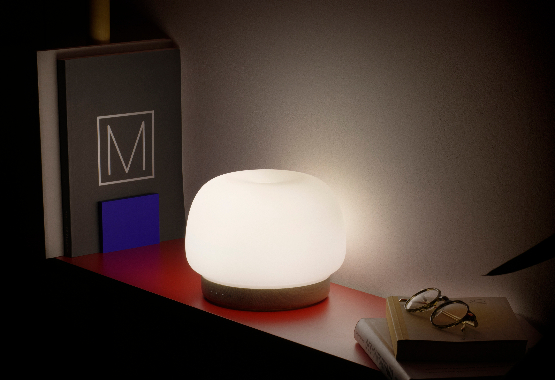 It includes best-selling Teo diffuser and an essential oil 'Starter' collection. Everything you need to get started. 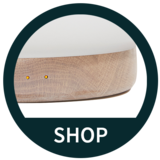 "Beautiful + Functional My Teo diffuser is now an essential part of my daily routine. I use it on my desk while working to help destress, and have another by my bed to aid in deep sleep. I don't go a day or night without it, and so appreciate the beautiful design, too. Five stars!!" "I love my TEO diffuser! Such a great addition to my office, my boss now wants one."